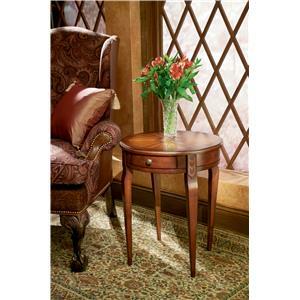 An elegant and versatile design crafted from select solid woods, wood products and choice cherry veneers. 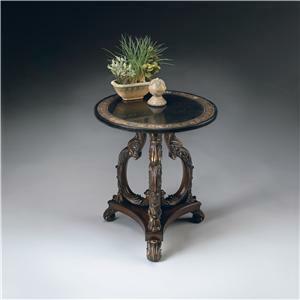 This table features a cherry veneer top with a lightly distressed finish. Two drawers with antique brass finished hardware provide functional storage. Shown in a Plantation Cherry finish. 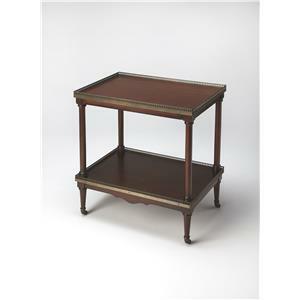 The Tables 2 Drawer Accent Table by Butler Specialty Company at Mueller Furniture in the Lake St. Louis, Wentzville, O'Fallon, MO, St.Charles, St.Louis Area, MO Furniture Store and Belleville, Shiloh, O'Fallon,IL area. Product availability may vary. Contact us for the most current availability on this product. Storage Two small storage drawers. 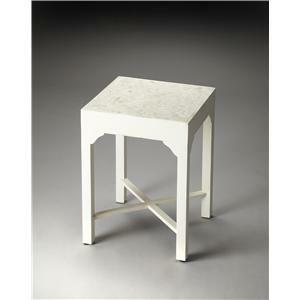 This collection of accent and occasional tables offer a wide variety of options and decor enhancing choices. 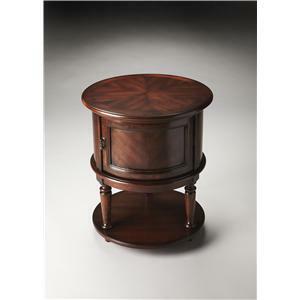 Choose from accent tables and a nesting table, and multi-game card tables in various wood finishes. 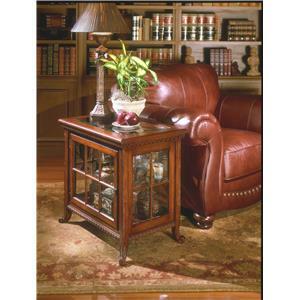 The game and accent tables each have a unique style and versatility allowing them to be utilized in almost in room in your home. 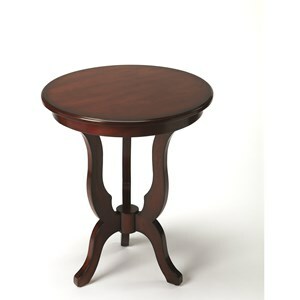 The Tables collection is a great option if you are looking for furniture in the Lake St. Louis, Wentzville, O'Fallon, MO, St.Charles, St.Louis Area, MO Furniture Store and Belleville, Shiloh, O'Fallon,IL area. 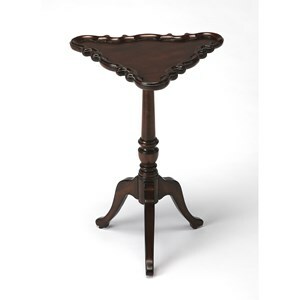 Browse other items in the Tables collection from Mueller Furniture in the Lake St. Louis, Wentzville, O'Fallon, MO, St.Charles, St.Louis Area, MO Furniture Store and Belleville, Shiloh, O'Fallon,IL area.